After scoring the second-biggest climb ever to #1 on the NACC 200 last week (Mitski holds the record with last year’s 33-1 leap), Wilco front-man Jeff Tweedy settles in for a second week on top with Warm. The album, released on Wilco’s own dBpm Records, is Tweedy’s his first-ever solo album of all-new material. He did release one solo record before Warm (2017’s Together At Last), but that album revisited songs from the Wilco canon as well as his Loose Fur and Golden Smog side projects. In addition to new music, Tweedy put pen to paper and released the succinctly titled book, Let’s Go (So We Can Get Back): A Memoir Of Recording And Discording With Wilco, Etc. in November. Tweedy will look to lock down a third week at #1 next week with Foxwarren (3-2) and Spud Cannon (6-4) waiting in the wings and hoping for an upset. Our Wednesday NACC Chart Recap features are always meant to showcase the newest music making waves on the college, community & online airwaves. With many stations just returning from the holiday break, the charts are especially fluid which means some albums that have climbed, had their time in the spotlight, and fallen are rebounding. Since they are older (and have already been previously highlighted), we’ll turn our focus to other newer albums making moves… though we do tip our hats to J. Mascis returning to the Top 10 (and the Top 5 for that matter) this week as well as Boy Pablo (who technically has the biggest climb of the week, though he’s already enjoyed time in the Top 10 as well). Providence, Rhode Island quartet Daughters enjoy the biggest climb within the NACC Top 10 this week. Formed in 2002, Daughters rose from the ashes of grindcore band As The Sun Sets, an act several members of the original line-up of Daughters were a part of. They disbanded in 2009 before reuniting on 2013. The band has recorded four LPs, including their latest, You Won’t Get What You Want, which is their first new album since 2010. The biggest climb on the NACC 200 this week for albums that are recently released and enjoying their initial climb up the chart comes from Vermont native Dean Wells. From 1999 to 2010 Wells recorded mainly as The Capstan Shafts. He’s released over two dozen albums under that moniker as well as Rare High, Sun Hoax, and Loud Springs. In 2016 Wells changed his recording name to The Astounds. Get Alright With is the second LP from The Astounds. After landing in the Top 5 adds a couple charts back, the album leaps from 150 to 72 on the NACC 200 this week. After placing inside the NACC Top 5 Adds last week, Mattiel Brown, who records simply as Mattiel, is making serious NACC 200 waves this week. Raised on her mom’s farm in rural Brooks, GA, Brown eventually moved to Atlanta where she works by day as an ad designer and illustrator at MailChimp. Outside the office, she records bold, vintage soul music. She teamed with producers InCrowd (Randy Michael and Jonah Swilley) and recorded her debut LP for Burger Records. Mattiel was released in 2017. The follow-up EP, Customer Copy, was released late last year and becomes this week’s highest debut, blasting onto the NACC 200 at #30. Enjoying most-added honors this week is indie-rock stalwart David Bazan, who records under the name Pedro The Lion. The Seattle-based musician formed Pedro The Lion in 1995 recording four LPs and a number of EPs. He’s collaborated with a host of musicians over the years (some 22 people can call themselves former members of Pedro The Lion, including Ben Gibbard and primary songwriting partner TW Walsh). Pedro The Lion ended in 2006. Bazan has recorded music since then, but in 2017 announced that he’d be reforming the band and performed new shows starting in December of that year. The aptly named Phoenix is Pedro The Lion’s fifth LP and his first for Polyvinyl. Broken Bells enjoy a second week at #1 on the NACC Singles Chart this week with “Shelter.” Released on Brian “Danger Mouse” Burton’s 30th Century label, the song is reaching rarified chart air for a single, rising 24-16 on the NACC 200 and making an impressive 3-1 climb at NACC NEXT to become the first single ever to top that chart. Nick Waterhouse scores this week’s most-added single. “Song For Winners” is the first taste of his upcoming fourth LP, Nick Waterhouse, which will be released March 8 on Innovative Leisure. You can find the Top 5 of the NACC Adds Chart, and all of this week’s #1 genre releases and most-added genre records below. This week there are new #1s on NACC Non-Comm, NACC NEXT, Heavy (a huge 20-1 climb for Soilwork), Folk (a massive debut at #1 for trio Lula Wiles), & Chill.  Subscribe to NACC to view full top 30 charts in all genres. Your eyes don’t have to be the only way you experience NACC’s musical highlights. Follow the ‘College Radio Weekly Highlights’ playlist on Spotify and let your ears in on the action too.